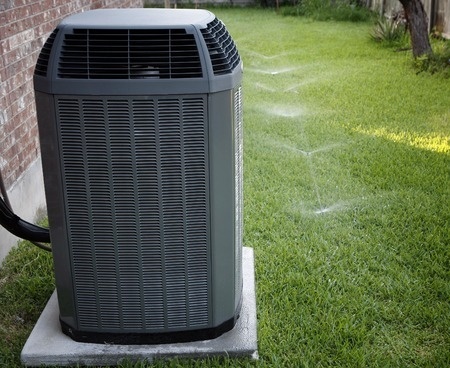 Don’t wait until the unrelenting heat of summer to replace your aging and unreliable central AC unit. Spring is one of the best times to purchase a new energy-efficient system from the air conditioning experts at Caldeco Air Conditioning & Heating. One reason it’s a great time is because spring is often the time of year when manufacturers and utility companies offer rebates and/or cash back. Caldeco Air Conditioning & Heating is the family owned and operated business that’s been handling the AC and heating needs of homeowners and businesses since 1989. We are well-respected in the industry and one of an elite group of HVAC specialists recognized by Carrier Corporation as Distinguished Carrier Dealers. In addition, we are a proud five-time winner of the prestigious Carrier President’s Award. This award is the highest honor presented to Carrier dealers and only awarded to dealers that exceed expectations and serve as role models to others in the industry. Caldeco Air Conditioning & Heating is listed as a CS BACnet Certified Controls Expert, an important designation for our commercial customers. And, because we are one of the officially recognized Factory Authorized Carrier Dealers, AC unit installation that is handled by our factory-trained and NATE certified installers is always backed for one year by the Carrier 100% Satisfaction Guarantee. Our certified maintenance and repair technicians perform regular maintenance services to keep your central AC unit in Tampa, Wesley Chapel, Brandon, Westchase, Clearwater and surrounding cities running efficiently for years to come. Contact us today for current promotions or to schedule an appointment.